Odoo (Thailand), based in Bangkok, Thailand, has been committed to offering Odoo customization and integration service to any types of business since 2011. 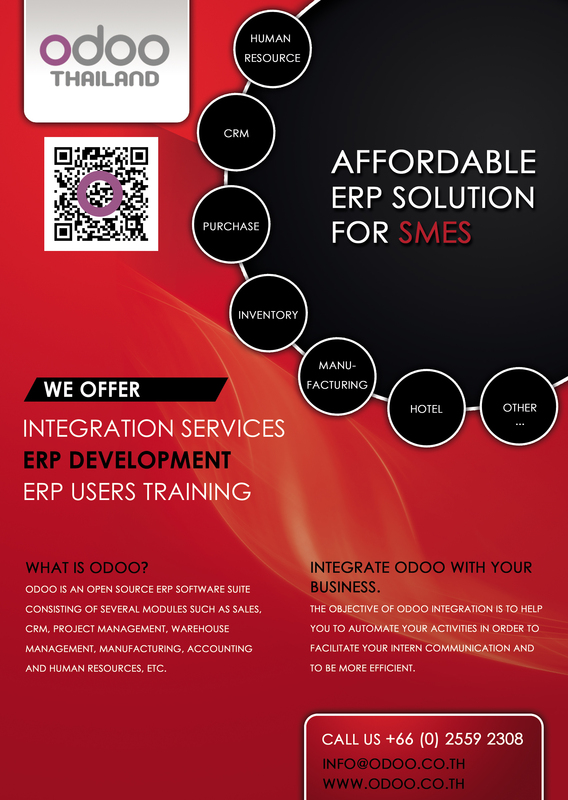 We implement Odoo for our own needs and certainly as ERP solutions for our customers. We believe this Open source solution is an excellent alternative to expensive suite. We take time to define the best integration for each company. evaluating our customers' needs and customizing Odoo application.